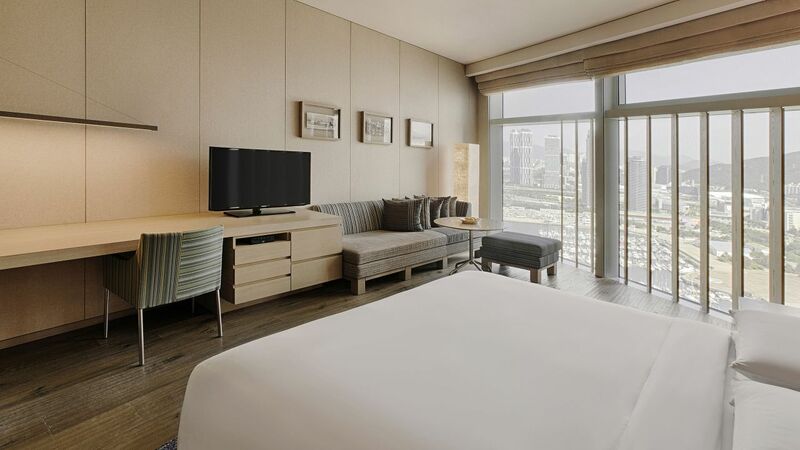 At Park Hyatt Busan, guests will discover the traditional values of courtesy, care, and comfort with the discreet, residential, and sophisticated style of Park Hyatt™. 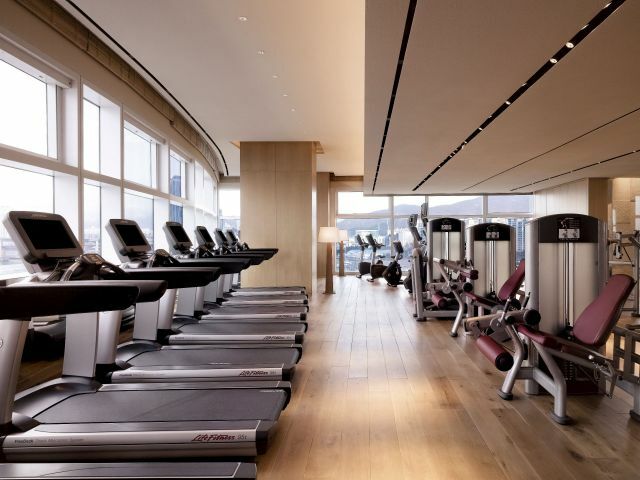 Whether guests are visiting the hotel for an important meeting or a relaxing weekend away, Park Hyatt Busan offers an array of services that are sure to make stays memorable. Blending the brilliance of the sun with the beauty of the earth, Lumi Spa + Fitness integrates natural serenity into every guest’s experience. 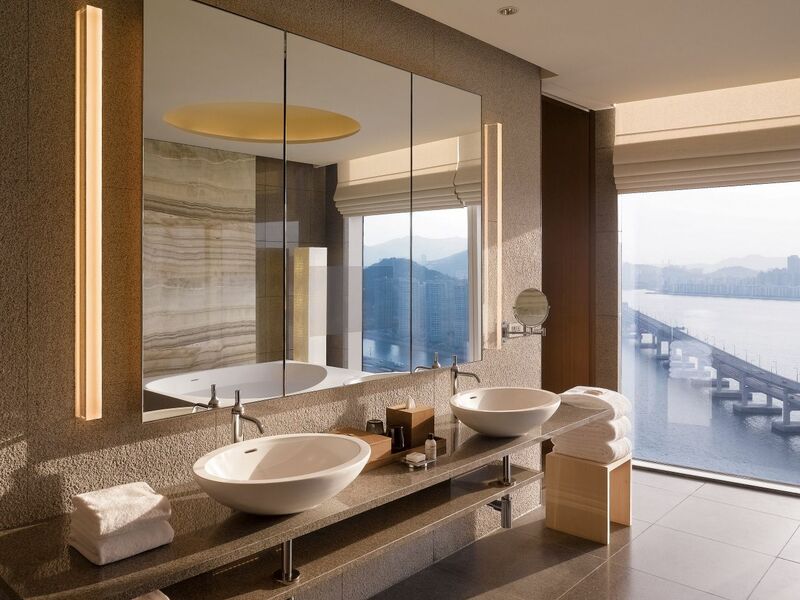 Located at Park Hyatt Busan, the spa has spectacular views of the ocean and Gwangan Bridge, and offers luxurious beauty and body treatments. 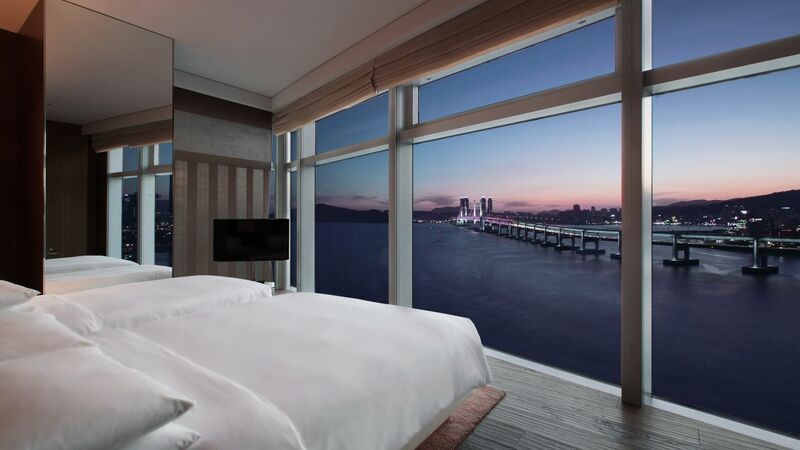 Park Hyatt Busan offers 269 guestrooms and 69 suites, decorated with beige-toned wood and with ocean views through floor-to-ceiling windows. Spacious bathrooms feature rain showers and bathtubs with custom Le Labo® products. 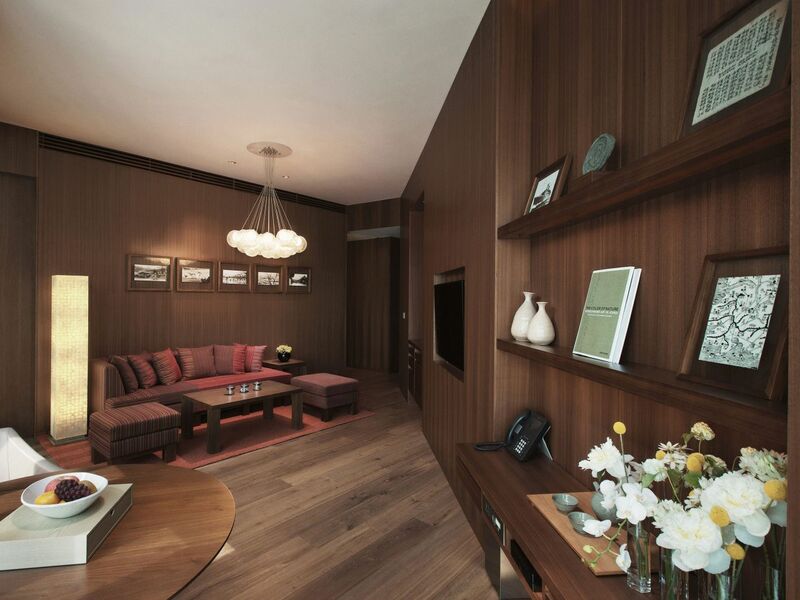 Our elegant suites feature separate dining and sitting areas. Blending the brilliance of the sun with the beauty of the earth, Lumi Spa & Fitness integrates natural serenity into every guest’s experience. 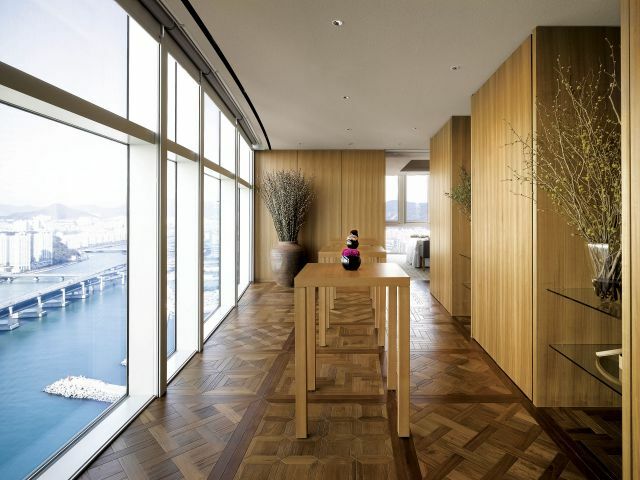 Located at Park Hyatt Busan, the spa has spectacular views of the ocean and Gwangan Bridge, and offers luxurious beauty and body treatments. 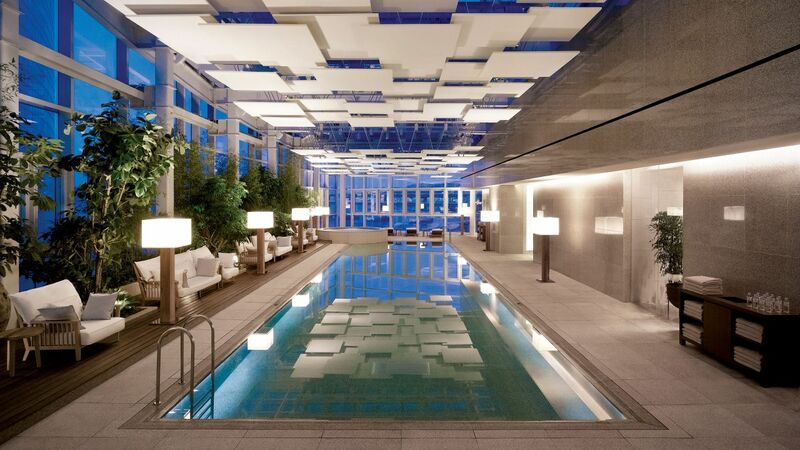 The pool is a 20-meter granite stone indoor swimming pool, where guests can experience true relaxation and sunbathe within the natural garden interior and feel the light breeze from floor-to-ceiling windows featuring beautiful ocean views. 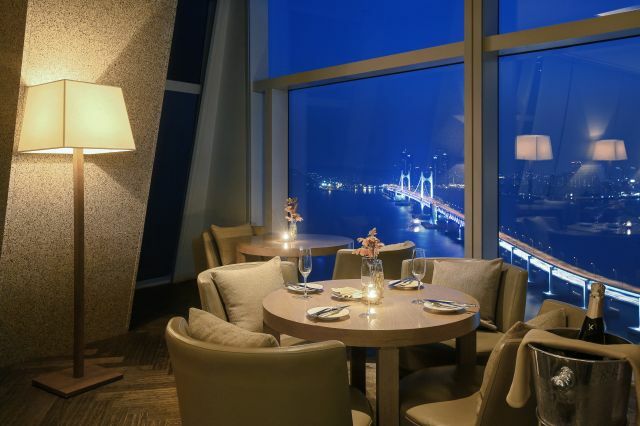 The setting is particularly gorgeous at night, with ambient ceiling lights and stunning views of Gwangan Bridge. Pool Hours: 6 a.m. to 10 p.m.
A resting place that assures privacy with personal shower booths, dry and steamed sauna facilities as well as large personal lockers. Sauna Hours: 6 a.m. to 10 p.m. 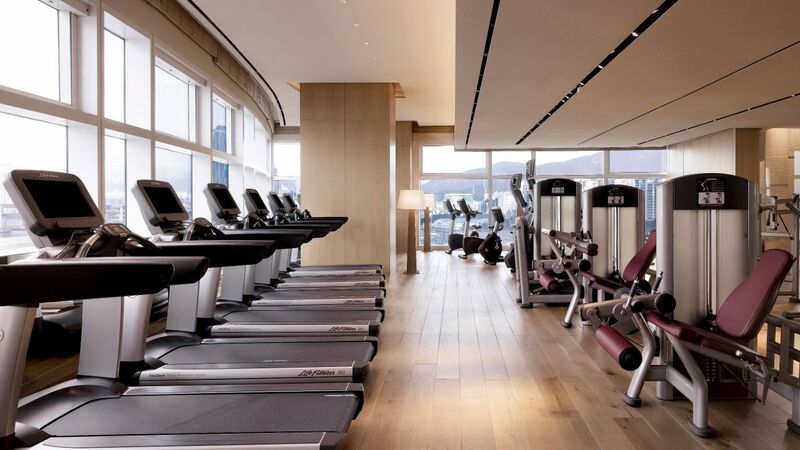 Enjoy a 24-hour operated fitness center, featuring the latest Life Fitness equipment, a private studio with fitness classes and experience true relaxation at the indoor swimming pool. 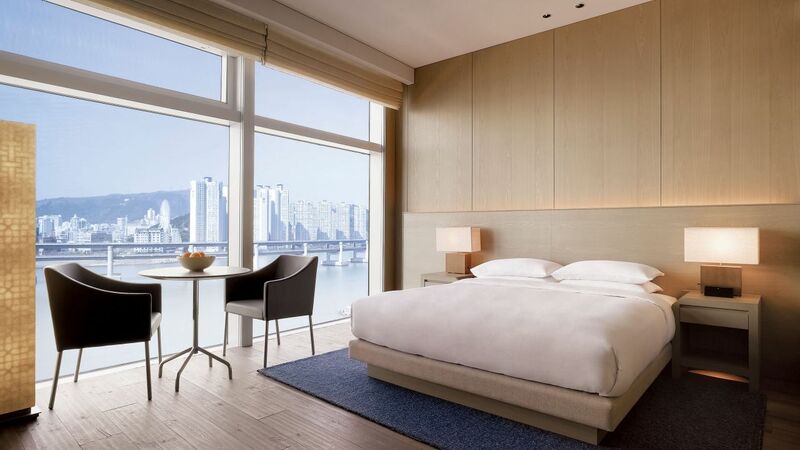 Designed with the corporate traveler in mind, Park Hyatt Busan is the premier choice among Busan’s business hotels. 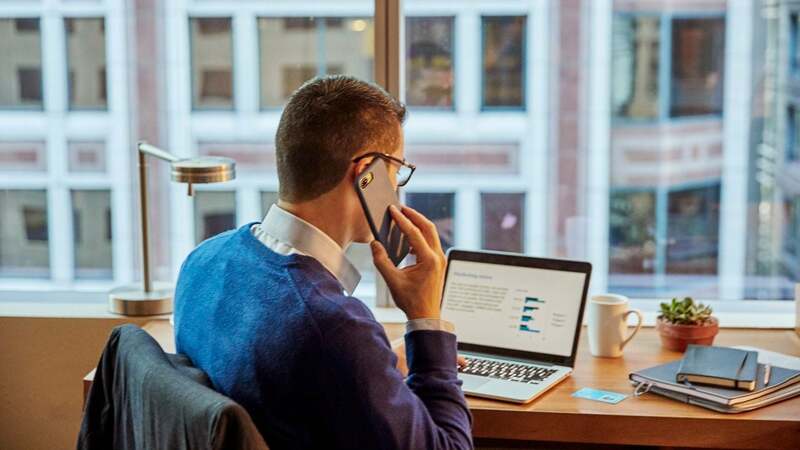 Located on the hotel’s 30th floor, our 24-hour Business Center offers a full range of support services to all corporate guests. For guests looking for a private meeting space, a fully equipped boardroom is available for use. 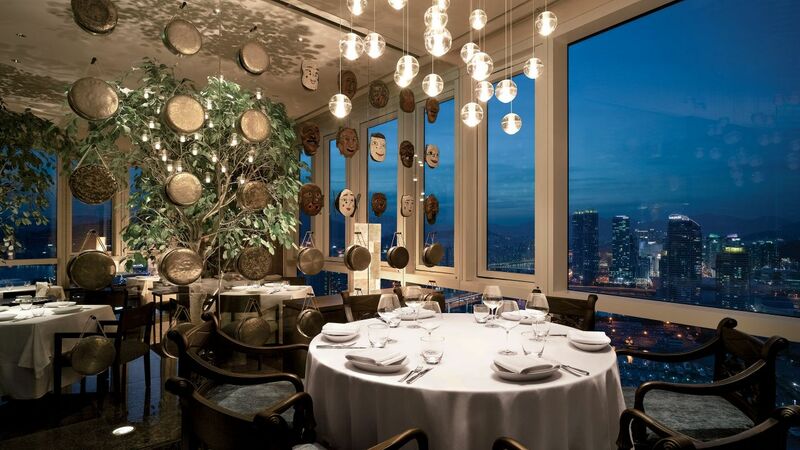 Located high above the city, the boardroom offers panoramic views of the city below. 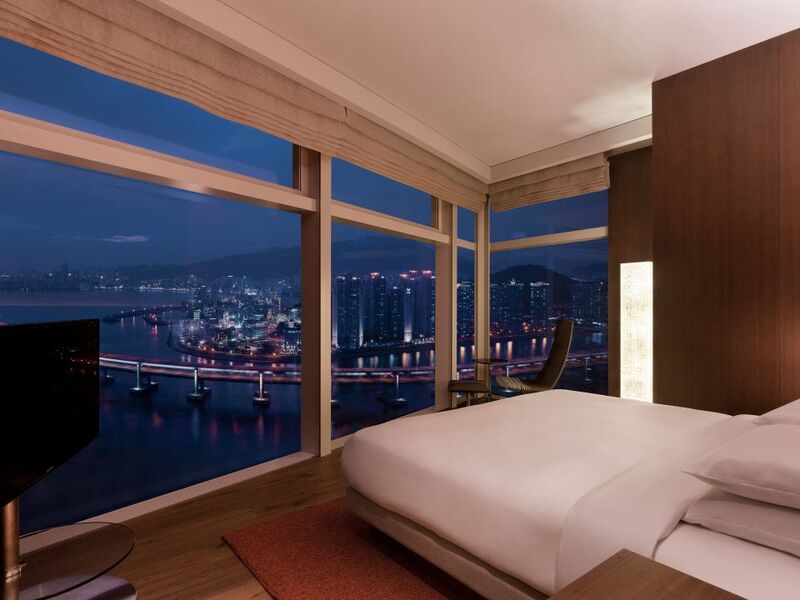 For further information please contact the Business Center at +82 51 990 1234 or via e-mail busan.park@hyatt.com. All of the staff members at the Park Hyatt were superb! 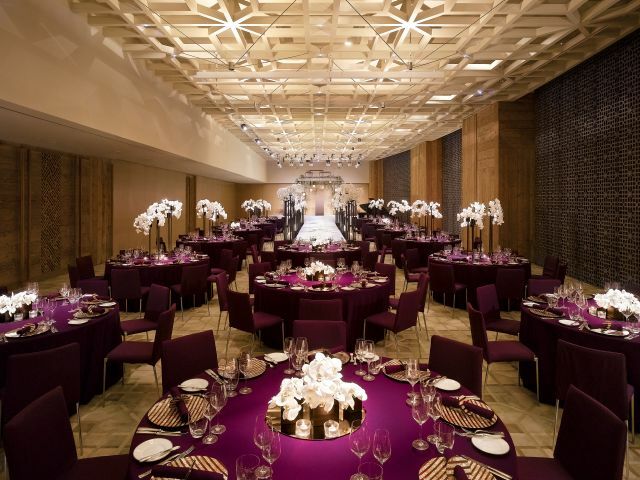 "All of the staff members at the Park Hyatt were superb! As soon as our taxi stopped at the loading zone at the front door of the hotel, not only the door staff but a concierge opened the taxi doors for us and kindly welcomed us. The door staff took our luggages for us and the concierge lady guided us to the front desk. 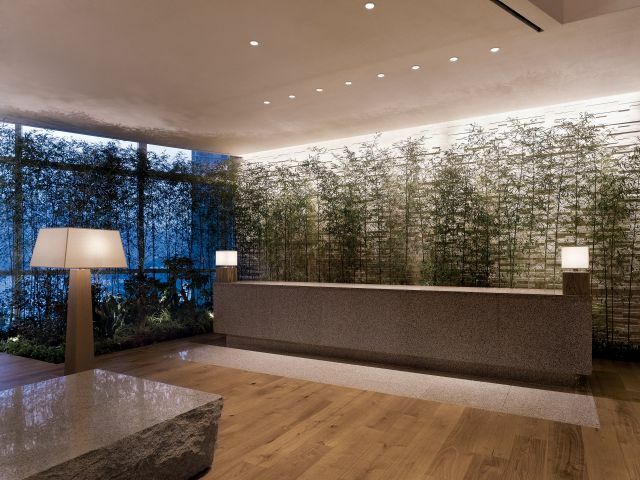 Although my reservation was made in the morning of the check-in date, the front desk was aware of my preferences and accommodated everything they could do for us." 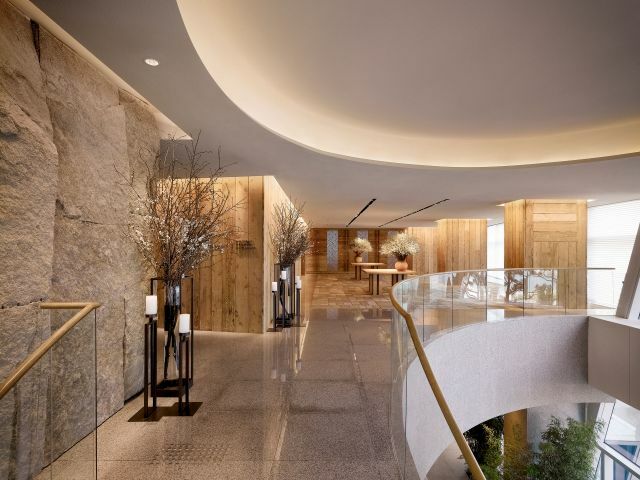 Featuring open kitchens, Dining Room allows guests to watch the professional chefs as they cook a variety of meats and seafood over the open charcoal grill as well as prepare Korean cuisine reinterpreted in Park Hyatt style. In the sushi bar, the freshest seafood, including the highest-quality sushi, sashimi and a variety of maki rolls, is served fresh. 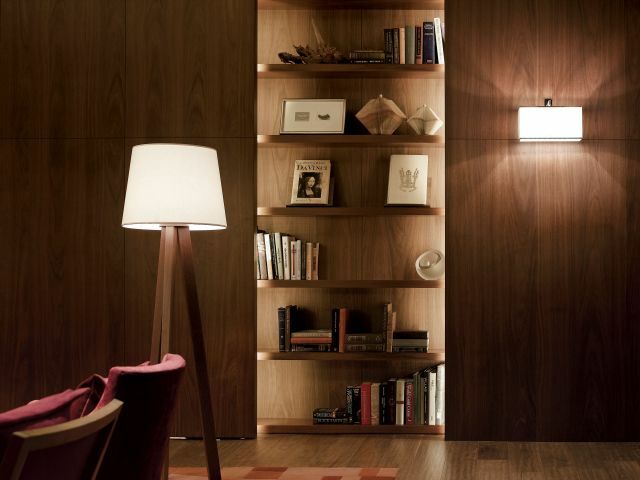 An extensive collection of premium wine is stored in the glass wine cellars. 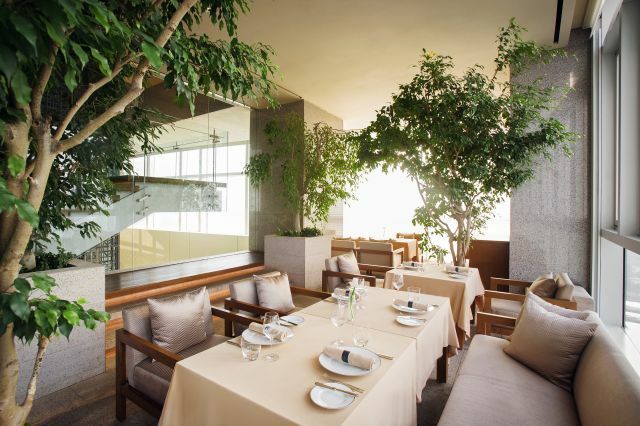 Dining Room also provides a plentiful weekend brunch featuring various grilled seafood items, steak, sushi, sashimi and Korean dishes every Saturday and Sunday. 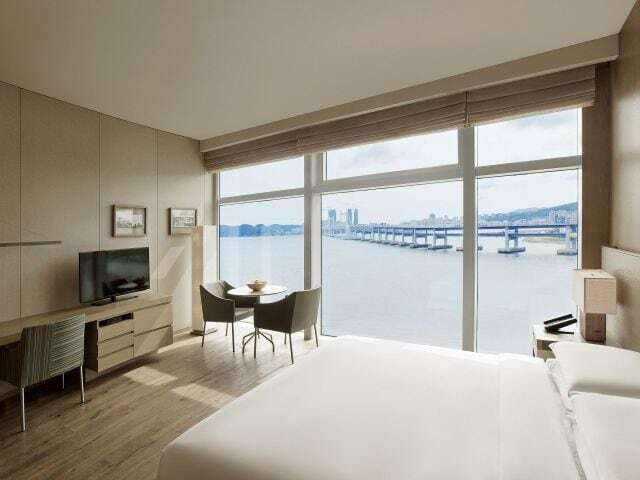 What else is happening at Park Hyatt Busan?